This is the first of what are (hopefully) many installments of Hacker Trips - encounters of the first and fourth kind with other hackerspaces throughout the country. Freeside knows no bounds; our members appear and disappear throughout the world! We're coming to your hackerspace and it's gonna be OK! My own travels are likely going to take me to the DenHac sooner rather than later, so I'm definitely planning to report on that. Tallahassee, Florida. The word Tallahassee means "abandoned fields" in Seminole. It is a town of about 180,000 residents, home to FSU and FAMU colleges which turns the city into a ghost town during winter and spring breaks. Tallahassee kind of looks like a shrunken Atlanta - complete with its own perimeter, airport, and transit system. I grew up in Tallahassee. I have fond memories as a child of traversing its fine ground water drainage system that linked all the neighborhoods together, and some parts of downtown, like the old DOT building. Days of feigned illnesses and put home from school spent unproductively wandering into random backyards or behind government office building shrubbery. No dice if you seek manatees, but plenty of turtles and the occasional alligator one must take care not upset while engaged in psuedo-urban trekking. If there's anything Tallahassee does have is a super abundance of wildlife, forest, and a unique concentration of allergens that defined my destiny. When I didn't have my face buried into a tissue during the pollen season I was stuck at home, behind an air filter, reading. No regrets! There's a handful of fun stuff to do in Tallahassee while you're there. You can eat the pizza slice bigger than your head at Momo's! Shoot a game of pool over cheap beer and get served free pizza at Poor Paul's! There's cool food trucks, art, and live music at Railroad Square. While you're there, you can also catch a documentary that details how Edward Ball exploited every single square inch of Wakulla Springs. 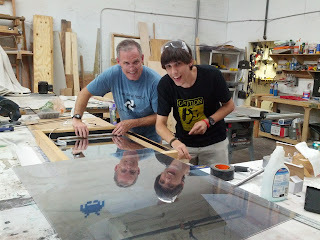 This past Sunday, I was able to make a pass through Tallahassee and visit Making Awesome (MA). 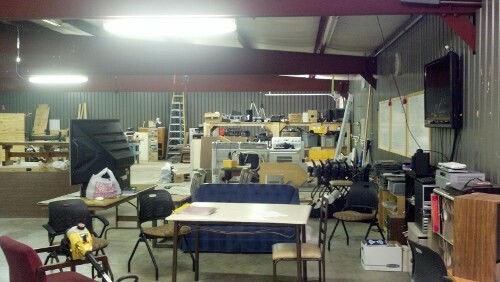 MA is a 5000sqft, free-standing facility located on a community college campus over on the west side of town. Had I known about Making Awesome as a young person, maybe I might have picked up on a few skills after school I could be using today. They share the hackerspace ethos and Freeside vision of providing an environment where exploration and play with technology is encouraged. There I met with David Brightbill, one of the founders and president of MA, and he quickly put a beer in my hand faster than I could say, "Bully!" We talked at length about our experiences running hackerspaces, trading war stories and the whatnot. It was a pretty chill space, but you could tell its members definitely enjoyed using all parts of the Making Awesome for their projects. He took me on a tour of the space. First thing I thought was great was their access control system. Here's parts one, two and three of their write up on how they got it working. Although it's a wired system (in contrast to what we're trying to do with Vuvuzela) it was inspiring to see the whole set up together. 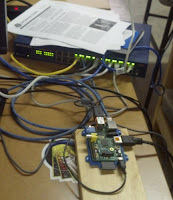 They, too, share a love for the Raspberry Pi so we spent a good while talking about our different approaches. They've also got plans in the works to create an access system where the RFID card has to rest on a sort of flat reader in order to render a machine operational. Just a heads up, MA - we'll be copying you on that one. Let's work together - like the co-mod! MA has not one, but two CNC machines - one is huge, a 4ft square or maybe 5ft square machine (my eyeballs are spaced weird so who knows) that had some foam swords sitting on it - no doubt, bound for Dragon*Con. Seeing foam pieces carved into fantastical shapes has got to be some kind of international symbol of trustworthiness. The other CNC machine is this beautiful machine to the right. It's a work in progress, but David tells me that when it's completed they'll be slicing through metal like a Talking Heads video. This wooden thing redefined my architecture. It's a giant, mobile, tool storage gazebo. It has all the right places to stow away the tools. I had intense and wild visions of tools getting stored properly at Freeside if this thing was around. You could basically push it over to whatever you were working on. They took that same concept from musicals where the piano is on casters and turned it into a useful thing. This could appear at Freeside in some kind of musical production. Grease meets the Village People, directed by John Waters, or such as: everybody dancing with this thing. I want to dance with it. It's a world of possibilities. 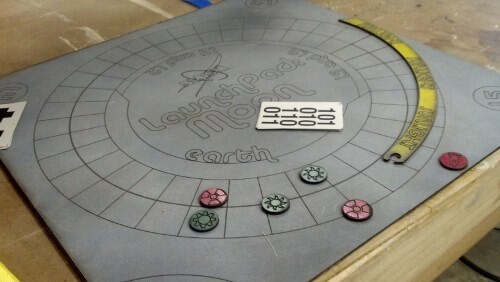 This was a particularly cool project - Launchpad: Moon - an educational economics board game designed at MA as part of the NASA Space Apps challenge. It was inspiring to see the laser cut board and pieces! I've mentioned it a few times but I'm trying to be super sneaky about turning our Analog Game Night attendees into the wonderful world of game development and prototyping. Finally, we rounded out the tour with visiting their hydraulic press (watch your hands! 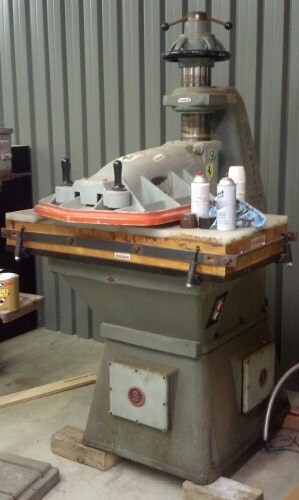 ), the radial arm saw (watch your arms! ), and a totally legit 1930's sewing machine. It was lots of fun to spend a few hours with the Making Awesome gentlefolk. If you're ever in Tallahassee for reasons, then you should definitely stop by. You'll both feel right at home and simultaneously also be made to feel at home! For our art project for Alchemy this year, we plan to build a huge archway in the forest with a portal to hyperspace. This is no easy task, so we decided to do some small-scale prototyping so that we can look into some of the challenges of this build and play with different effects to see what looks the coolest. Our design is based around an infinity mirror, which is a cool device that is build from one regular mirror and one two-way mirror. 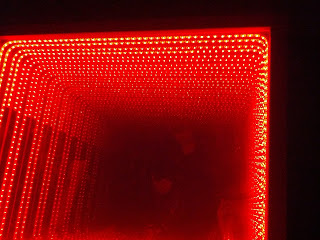 Lights placed in the center echo between the two mirrors until they fade too low to be seen. 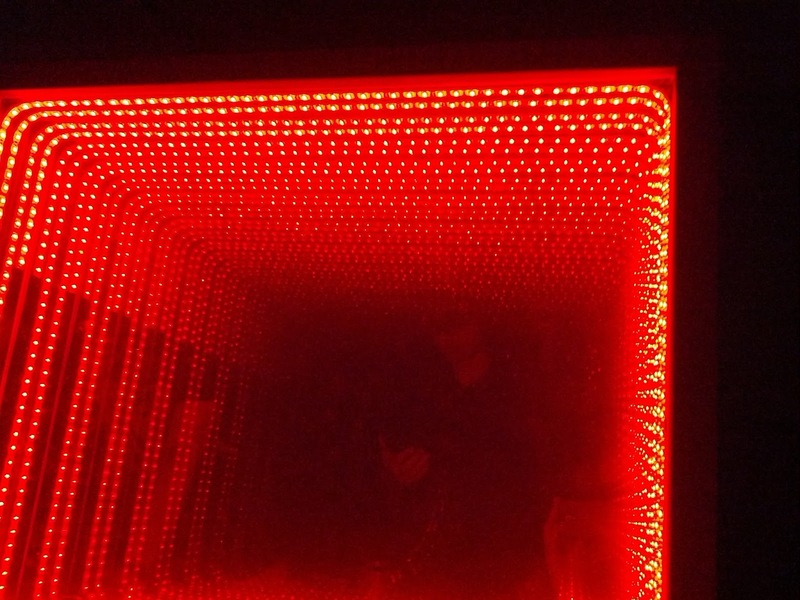 The viewer looks through the transparent side of the two-way mirror and can see the effect move with their perspective. 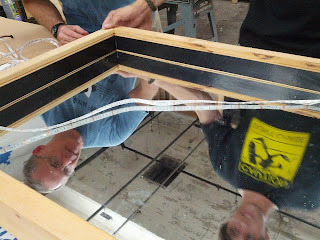 Kevin and Edward working with the assembled frame. That's the two-way mirror in the foreground. I had some help with the build from Kevin and Edward, who came in for the Tuesday night open house and got recruited to the project. Nathan (not pictured) also joined in to help, so we had 4 people working on it. We also made the two-way mirror using a standard piece of glass from Home Depot and some mirrored window tint that we ordered online. That was fairly easy to do with 4 people on it, but it would be a total nightmare to do by yourself. Important lesson from the prototype: tint is REALLY difficult to get right. Once we had both mirrors, we did a quick test by holding the two-way mirror over the regular mirror with the LEDs laid out in between to see how far apart we'd like to space the two. Because it didn't need to be pretty, but it needed to be easy to disassemble and reassemble, we opted to just build it out of 2x4s and support the frame with cross-braces from the back. We slotted the 2x4s on the table saw so that we could slide the glass in and out of the assembly. 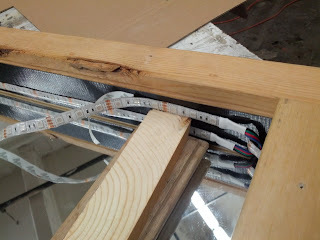 Then, after more tries than I care to remember, we got the frame cut down to a size so that the slots matched the 24x30 dimensions of the glass pieces. We slid the mirrors in while we only had 3 of the 4 frame pieces assembled so that we could get a tight fit with the supporting cross-pieces on the back. We left the fourth side wall off until the end so that we could attach it with a hinge and a lock, which allows us to pull it apart as needed. 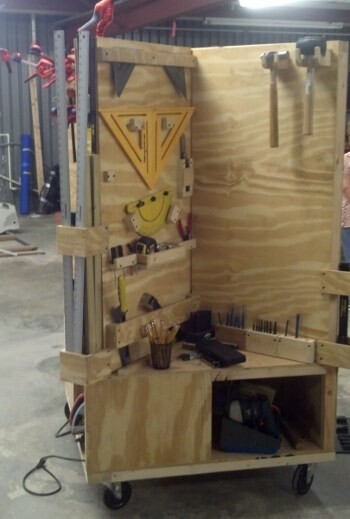 We attached a hinge and a locking mechanism that we had laying around the space and the frame was done. Rather than painting it, we opted to just use black tape to darken the inner walls. Next, we measured the total width of the inner chamber, which was 4x the width of the LEDs as we had planned. 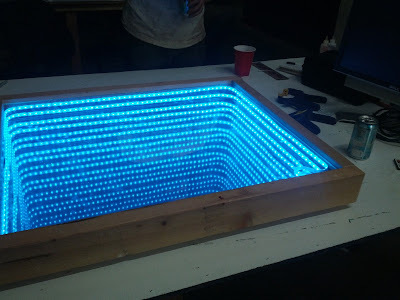 For the tunnel to look "even", the spacing between the two LED strips had to be double the spacing between each strip and the side wall. We did the math and found two jigs that were those heights and used them to lay out the strips. Interestingly enough, the adhesive on the backs of the LED strips can't handle the heat that the strips put it out... so we ended up stapling them to the walls. We accidentally switched Nathan for bizzaro Nathan in the process. The real Nathan is trapped in mirrorworld somewhere. Safety third! 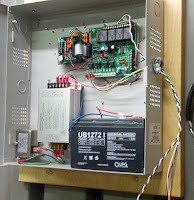 Finally, we attached the control box and IR receiver for the strips to the top of the hinged piece. The primary colors worked fine, but when trying to get the ting to fade, it started flashing purple and got unresponsive to the IR remote. 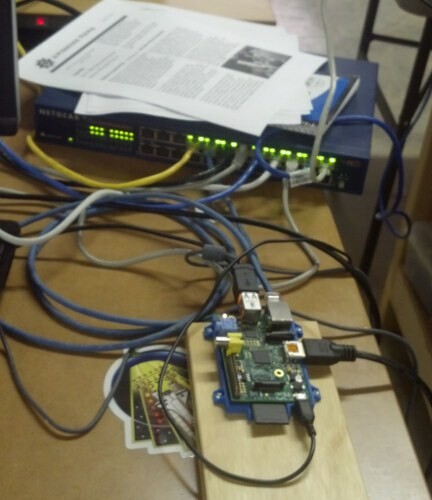 The problem ended up being that I was using a 12v 1a power supply and needed at least 3 amps. A bigger power supply fixed the issue. After about 3 hours of work, we got a working prototype finished and learned A LOT about building the full-scale model. Some of these issues would have cost hundreds of dollars or pushed us behind schedule waiting for stuff in the mail. The total cost of this prototype was $100 and I'm gonna turn it into a coffee table when I'm done. Here's a video walkthrough of the final prototype (before I fixed the amperage glitch). 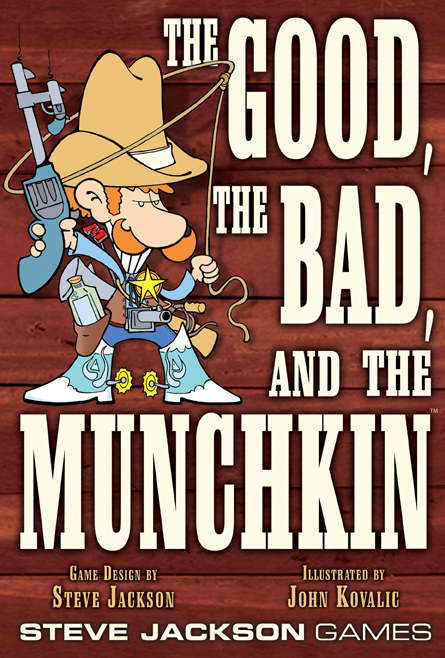 Howdy e'rybody! Just wanted to give you a little update on the awesome that is Analog Game Night. We're now up to bimonthly, with board and card game fun to be had on the 1st and 3rd Thursday of every month. 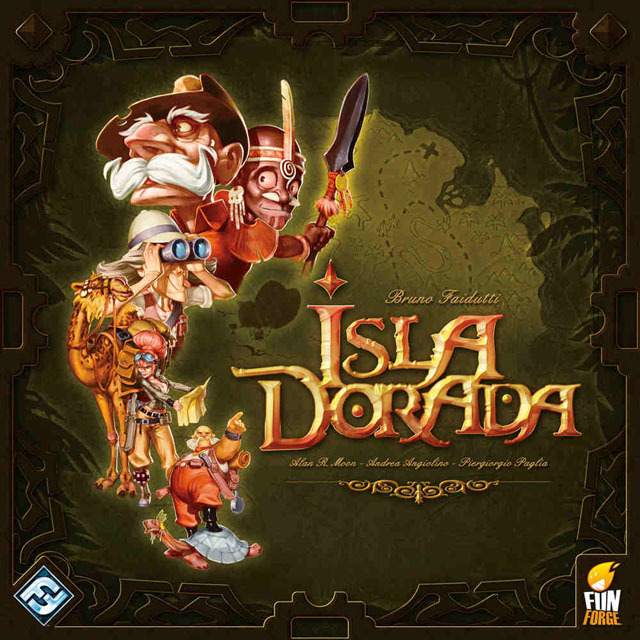 Last Thursday was the first time we went for the second night a month, and given only two days' notice, we still had 11 people show up to play Isla Dorada and The Good, The Bad, and The Munchkin. There was also poi, Chex mix, a yoga demonstration, and excellent taste in beer. So now you know. Y'all come now, and bring games, friends, and beer if you're so inclined and of age. It's a good time, and has been a great way to introduce new folks to the space. Incidentally, I am also learning to make videos and work a DSLR, so we made this time lapse video of the first few hours of the evening. Enjoy. We just got the news we won a LulzBot AO-100 3D printer as part of their giveaway contest! Our submission landed us a spot in the 8 finalists out of over 200 submissions. We even got a shout-out about Dr. Glass' original medical research! 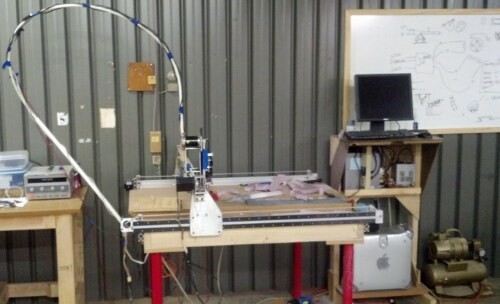 Tuesday [7:30p]: CNC Build Project, Public, Free. 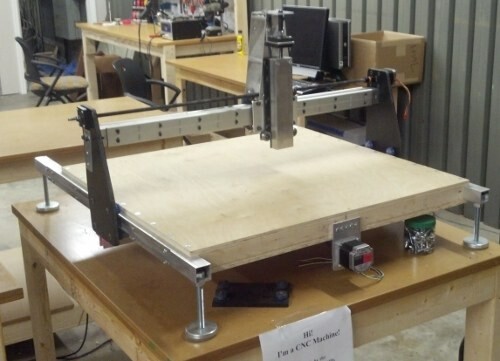 Freeside veterans, Preston and Eldon, will be leading this project to assemble and tune a smaller CNC for high-precision work, then design and build a full-size 4' x 4' CNC mill for the space as well. Tuesday [7:30p]: Open House, Public, Free. We host this meeting every Tuesday so that people can check out the space, chat with members of the organization, and get together to plan projects, events, and classes. 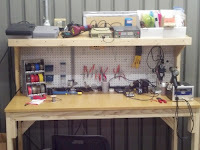 Tuesday [8:30p]: Introduction to Basic Electronics, Public, Free. 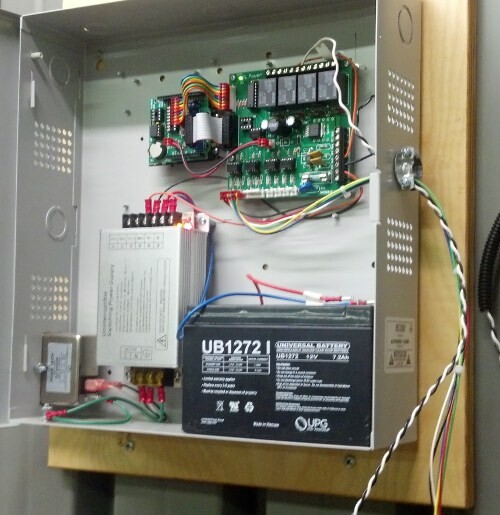 Chris Moore and Wayne Salhany explain basic electricity and electronics concepts that you can use in your next project. Friday [8a-6p]: Telecommute from Freeside, Members-Only. Members, come join your other telecommuters at Freeside and “work” remotely. Sunday [3p]: Burners Without Borders, Public, Free. Freeside turns the auditorium space over once a month to Burners Without Borders for their monthly meetup, where they plan fundraisers, community outreach, and reconstruction/beautification projects. Have you been itching to donate things to Freeside, but you’re not sure what we need? Have you been looking for volunteer opportunities to use your awesome skills? This monthly post shall be your guide, henceforth! Look for all these things in our up-to-date Wishlist, the next time you're out and about and wondering what extras you could throw in the cart to bring on down! We're always looking for new opportunities to facilitate projects/education in the space. 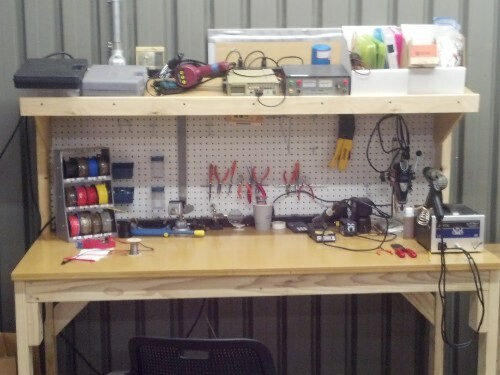 New equipment can help us do that, so we decided to make a wishlist of some of the things that we need for the space. Engraving plastic: for creating signage with Randy’s CNC! Please note that Analog Game Night moved, due to a schedule conflict! Analog Game Night will resume to its regular schedule of first Wednesday of the month starting in May. 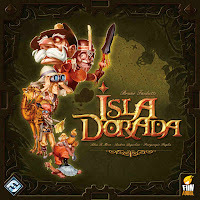 2013-APR-10, Wednesday [8p-11p]: Analog Game Night, Public, Free. Come get your board and/or card game on!